Greece is one of the largest, most mature and rapidly growing markets for foreign-language education in Europe. 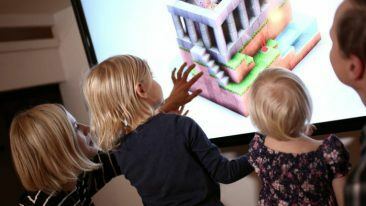 Playvation, a Finnish specialist in digital language education, has entered into a collaborative partnership with The Study Rooms to bring its flagship product, Moomin Language School, to Greece and Cyprus. The collaboration kicked off with the adoption of the story-driven digital language immersion solution at two language-oriented schools in Greece: ELC Anifadis in Halkida and UK School of English in Trikala. The preliminary results from both schools have been encouraging. “We are very excited with how well the students are responding to Moomin Language School! The level of engagement is wonderful,” Maro and Phaedra, language teachers at ELC Anifadis, commented in a press release. “It is impressive to see how intuitively the new language is learnt using Moomin Language School,” added Eirini Strakari from UK School of English. With Greece being one of the largest, most mature and rapidly growing markets for foreign-language education in Europe, the partnership offers enormous opportunities to Playvation. The Espoo-based provider of digital language learning solutions has already brought Moomin Language School to China, Morocco, Poland and the Persian Gulf region. Learn more about what sets the solution apart from the competition in our feature article from last September.